We believe our entire city and local community can be transformed and restored through the establishing of partnerships with community and city programs/ organizations. We believe real one on one relationship have a lasting effect on someone and will motivate them to continue seeking a more sustainable life. The Hub: Provides resources to help individuals and families rise up out of poverty through the collective body of support from various resources such as housing, homeless shelters, job readiness, detox programs, city programs/benefits. 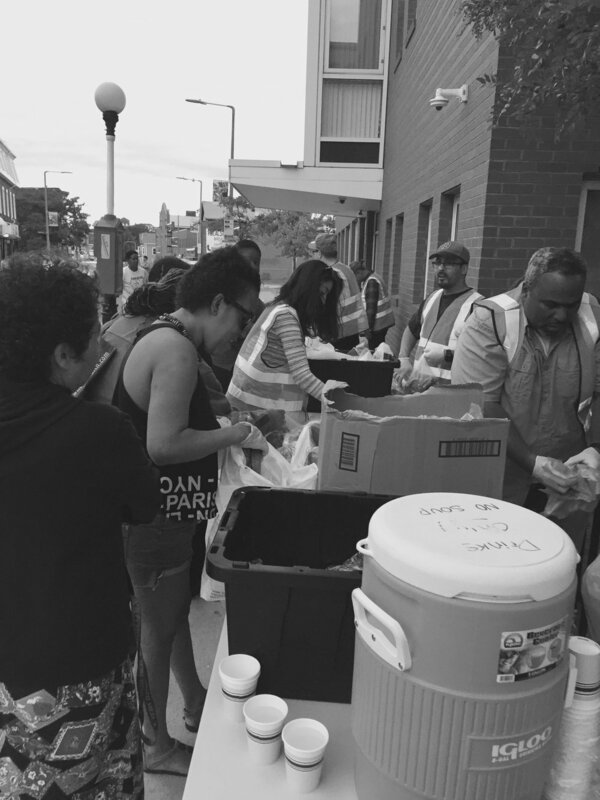 Homeless Outreach: Provides home cooked meals, clothing, and prayer to the poor and homeless of Boston and surrounding communities. Rose of Sharon: Reaches out to women of human trafficking, prostitution and sexual exploitation as they seek restoration and acclimation into a life where they are thriving members of our community.